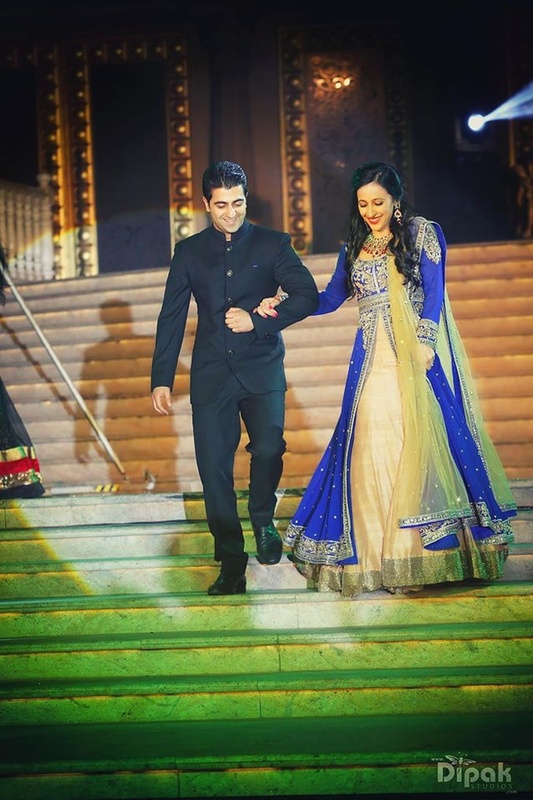 A wedding that truly captures that Bollywood feel, and does it so well! 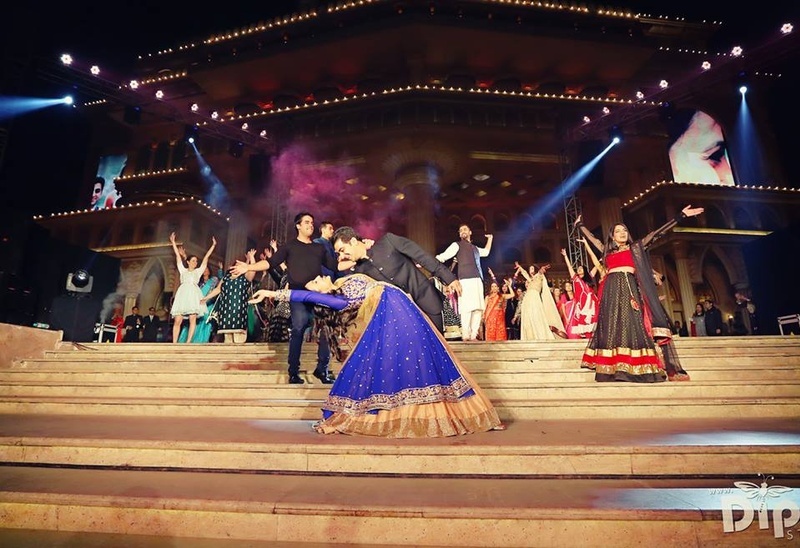 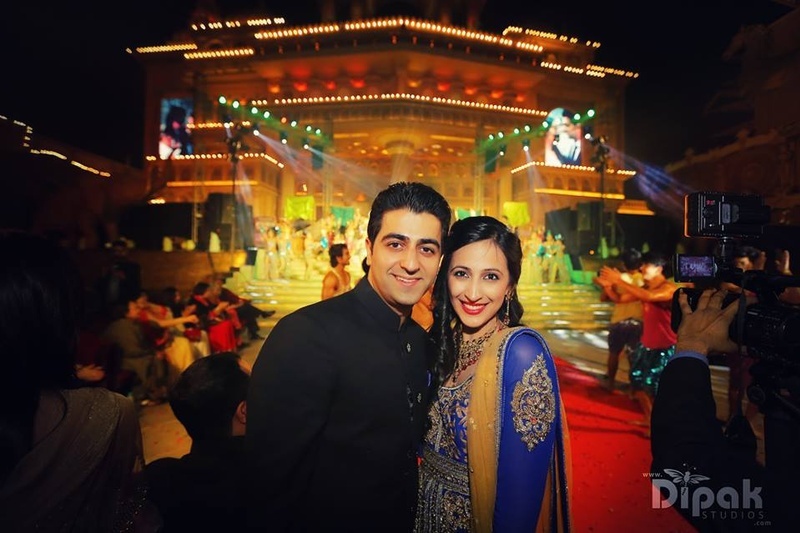 The grand (and I mean GRAND) sangeet held at Kingdom of Dreams, Gurgaon, the color-packed shudh desi mehendi and the majestic wedding ceremony - Saniya and Gagan’s union was nothing less than a romantic Karan Johar movie. 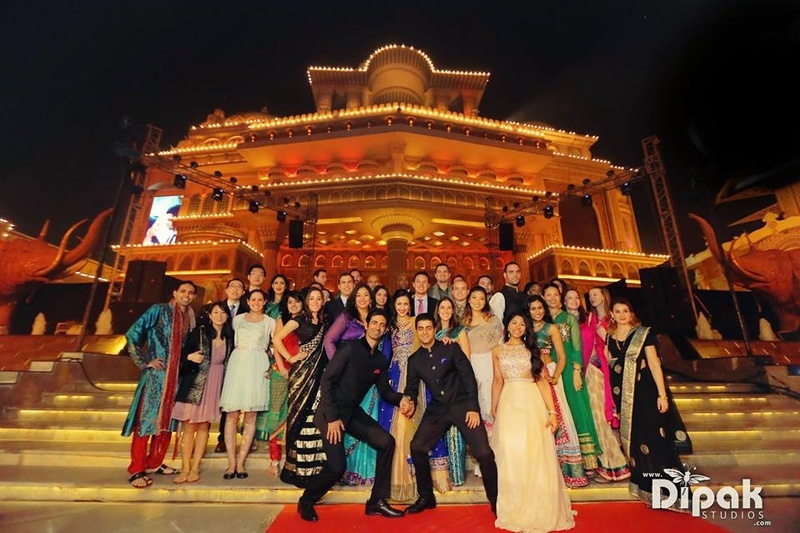 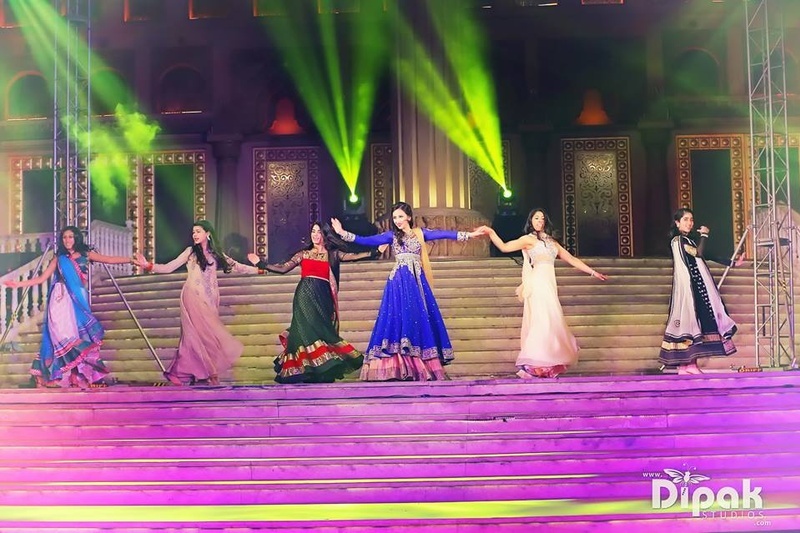 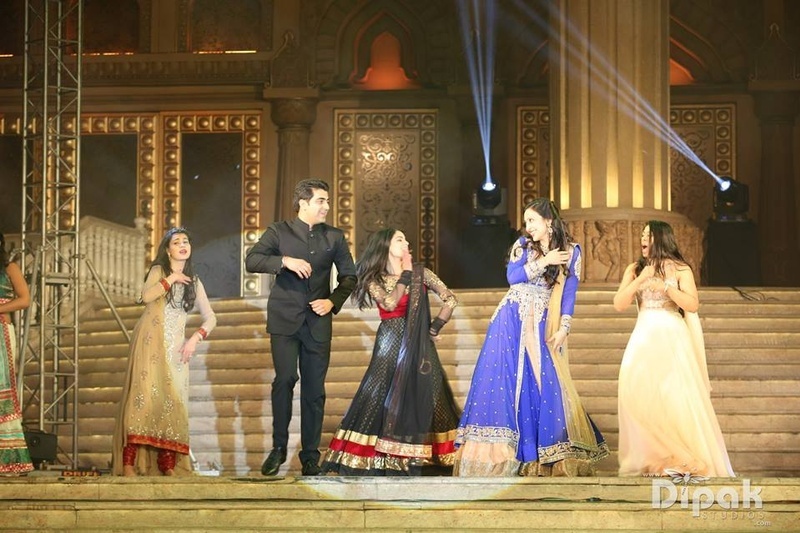 Celebrations began with the sangeet ceremony held at the magnificent Kingdom of Dreams. 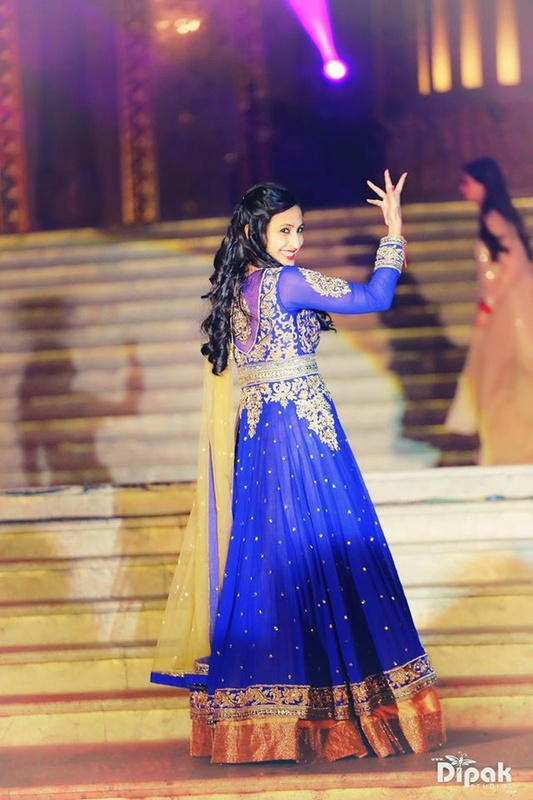 With dance performances choreographed to hit songs like shava shava, mehendi laga ke rakhna, ruk ja o dil diwane and many others – Saniya and Gagan gave their grand sangeet ceremony the grand ending that it deserves with Gagan doing the iconic drop step with Saniya in her royal blue and gold layered lehenga. 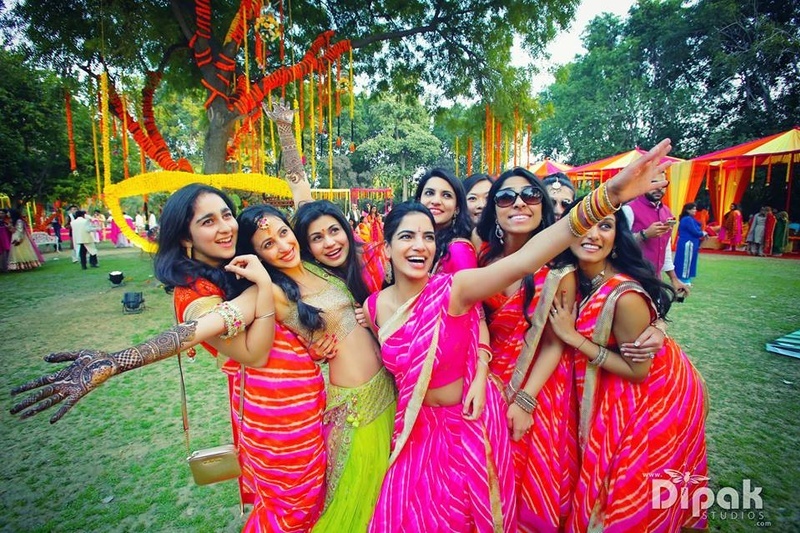 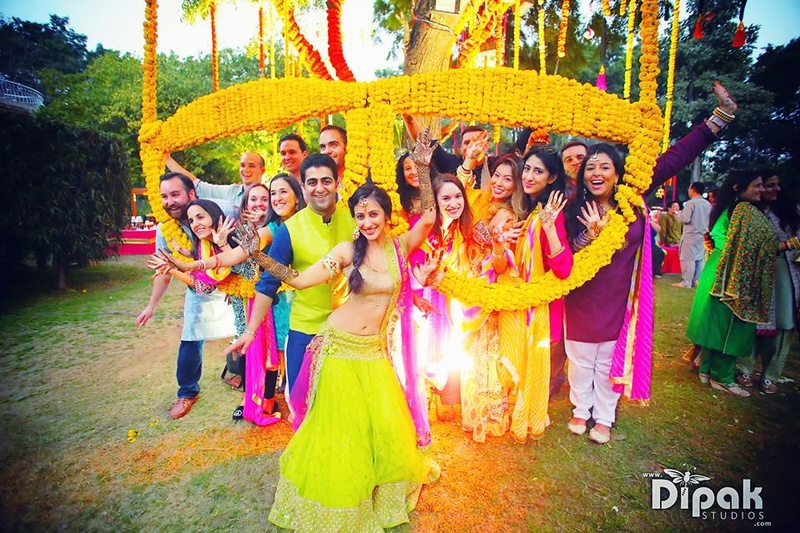 The happiness and dancing continued at the vibrant mehendi ceremony held outdoors on a lush green lawn with tree barks decorated with an abundance of yellow and orange Marigold flowers. 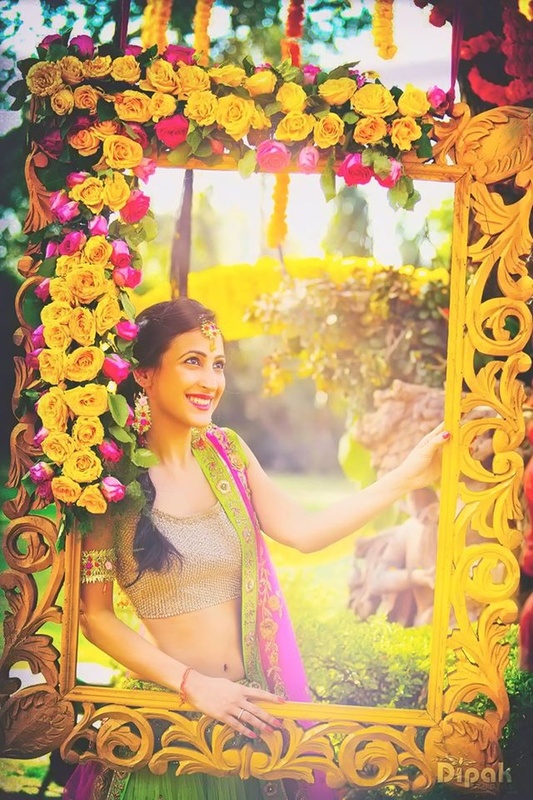 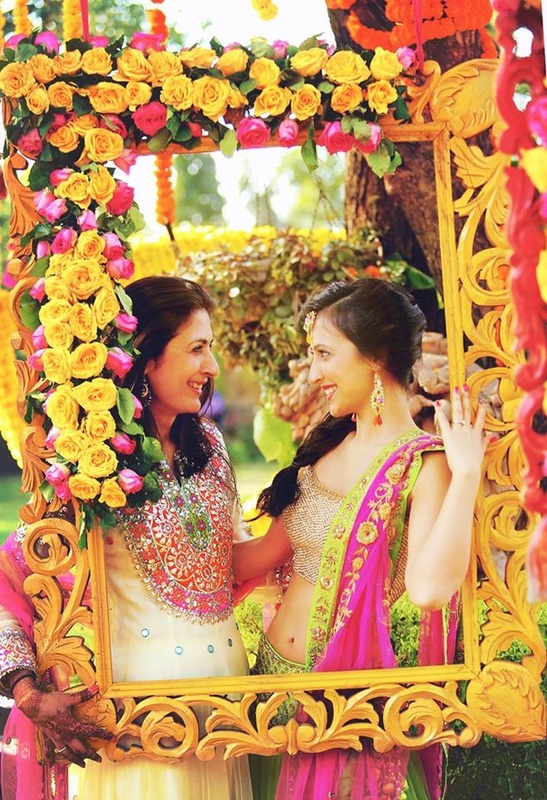 Colorful cabanas, a wooden swing fully decorated with vibrant roses, daisies and fresh green ferns along with a yellow painted wooden frame - the décor at this mehendi ceremony was truly inspirational. 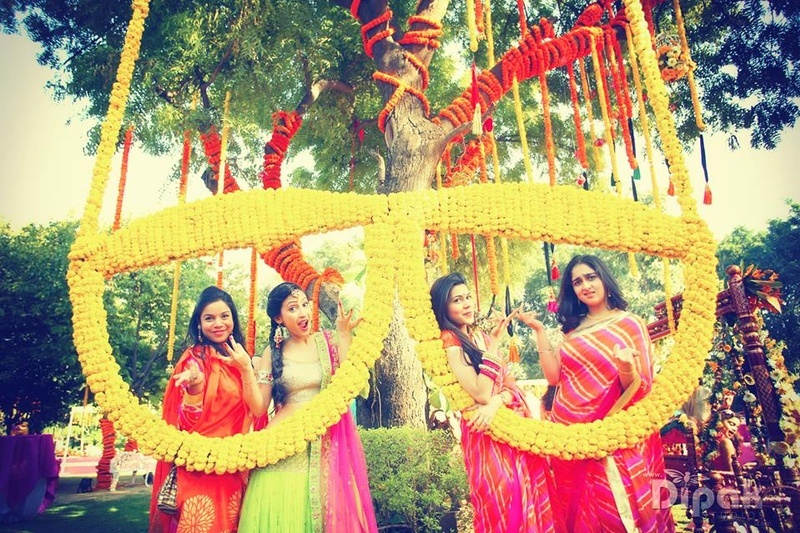 But what caught our eye was the humongous pair of spectacles all wrapped up in yellow marigold flowers. 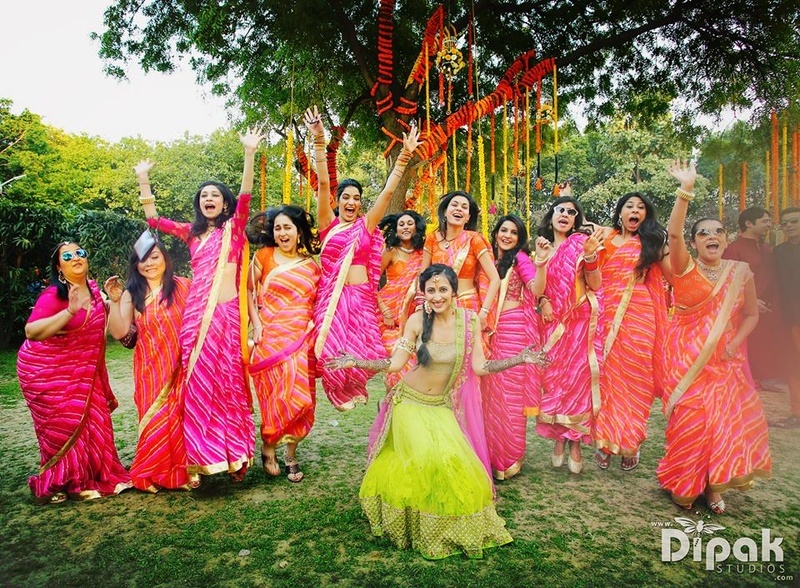 The beautiful bride-to-be had her girls dressed up in matching bright pink and red leheriya sarees while she opted for a parrot green lehenga that fit her petite body just right. 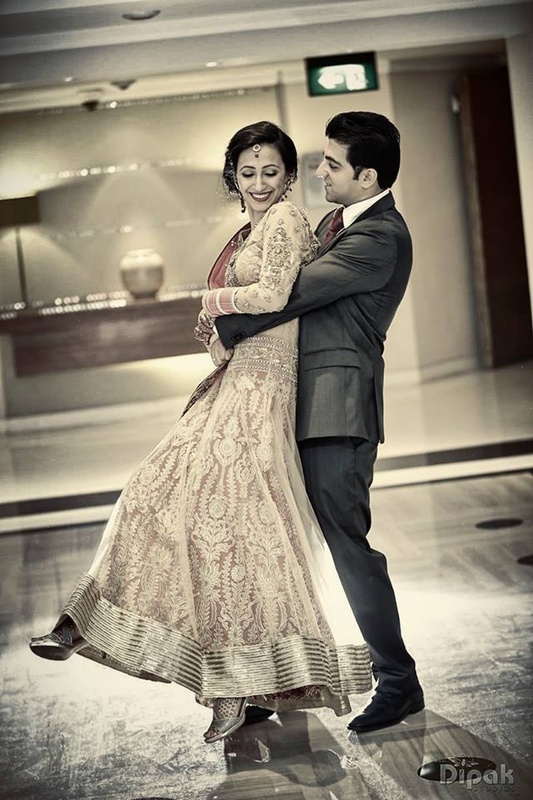 Once things were made official, this gorgeously dressed couple engaged in a romantic post-wedding photoshoot. 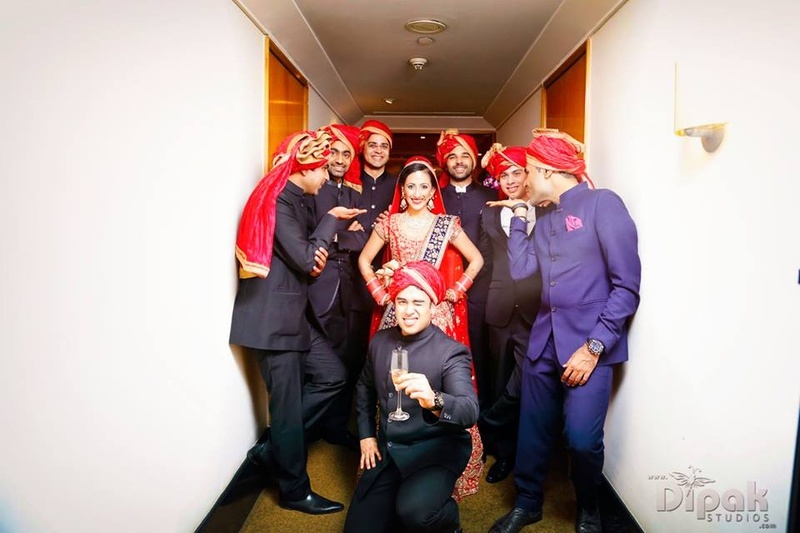 The stunning bride was dressed in a cherry red designer wedding lehenga that was intricately embellished with motifs, stones and zari work all over. 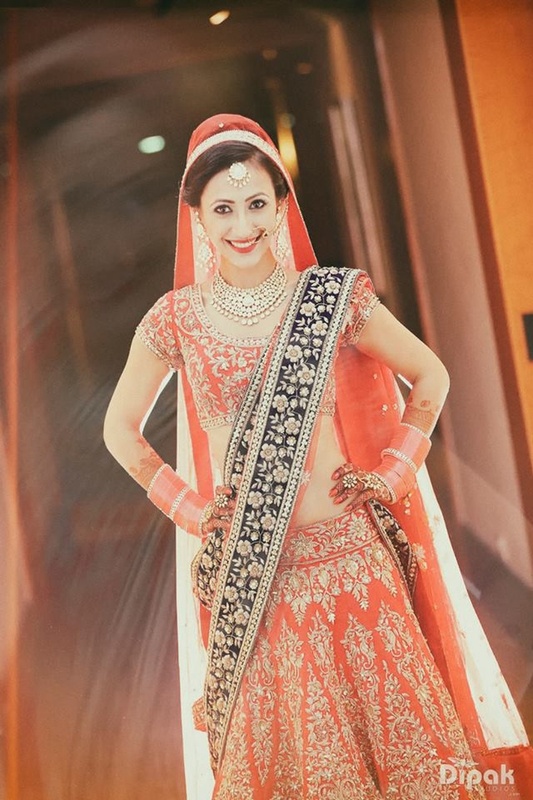 She wore a regal necklace studded set with polki diamonds and crystal drops, which added a perfect touch of ethnicity to her entire bridal ensemble. 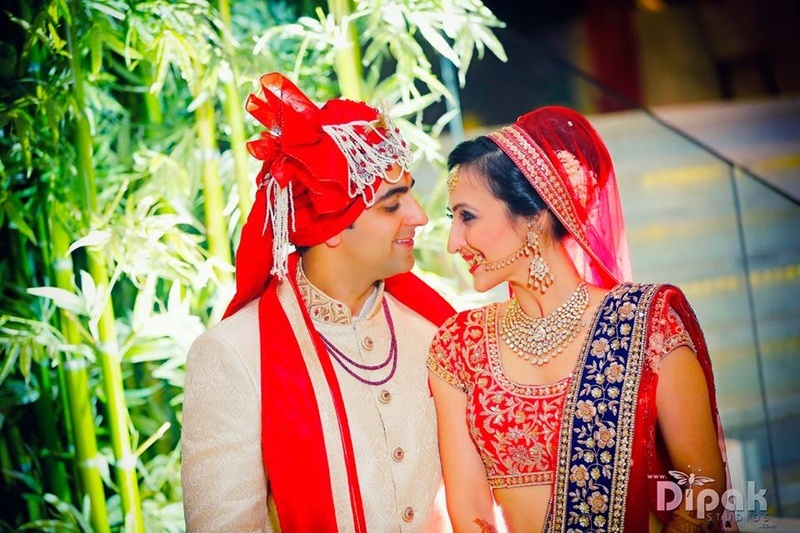 Gagan wore a textured off-white bandgala sherwani along wih a bright red dupatta and perfectly complimented his beautiful bride. 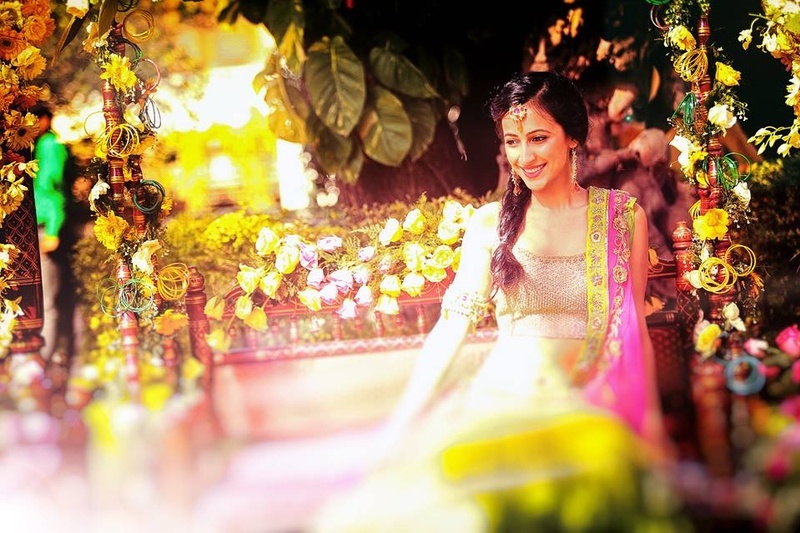 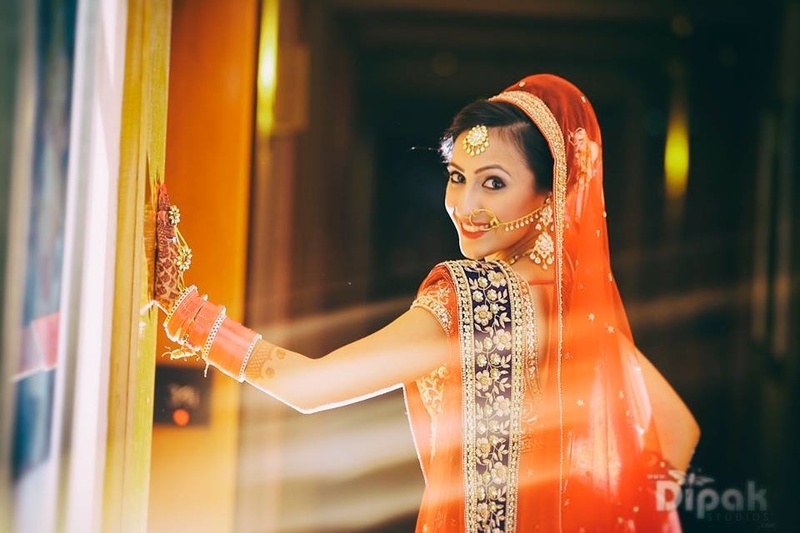 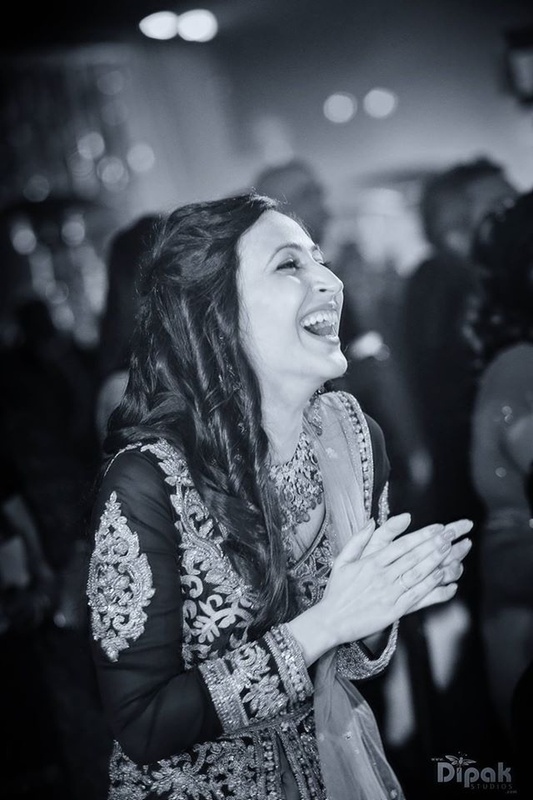 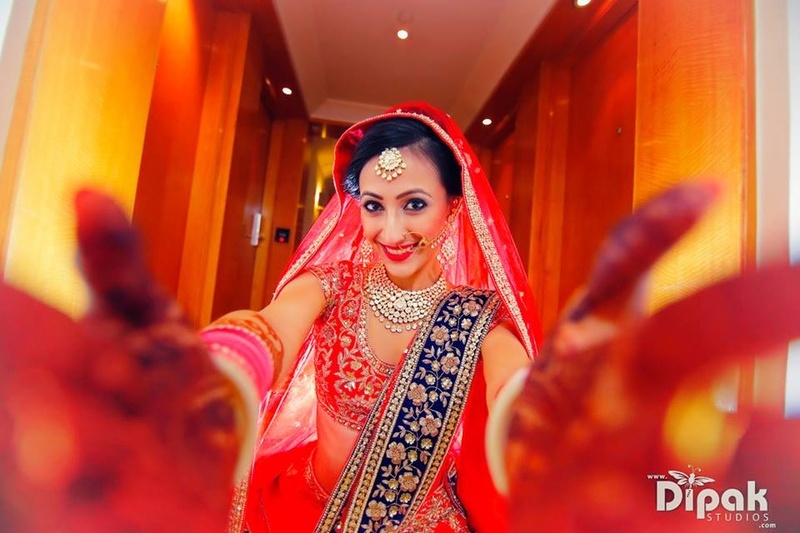 Every stunning image from this wedding was taken by Dipak Studio Photography. 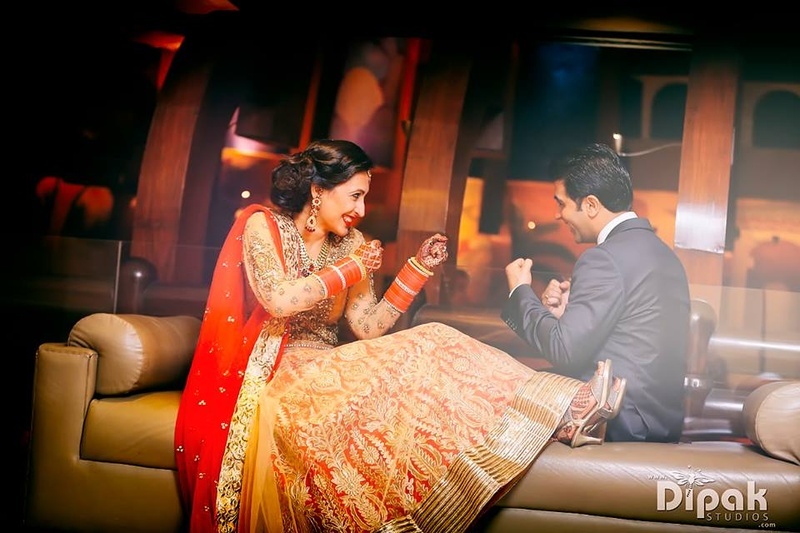 This couple’s grand wedding celebrations will leave you stunned and excited all at once! 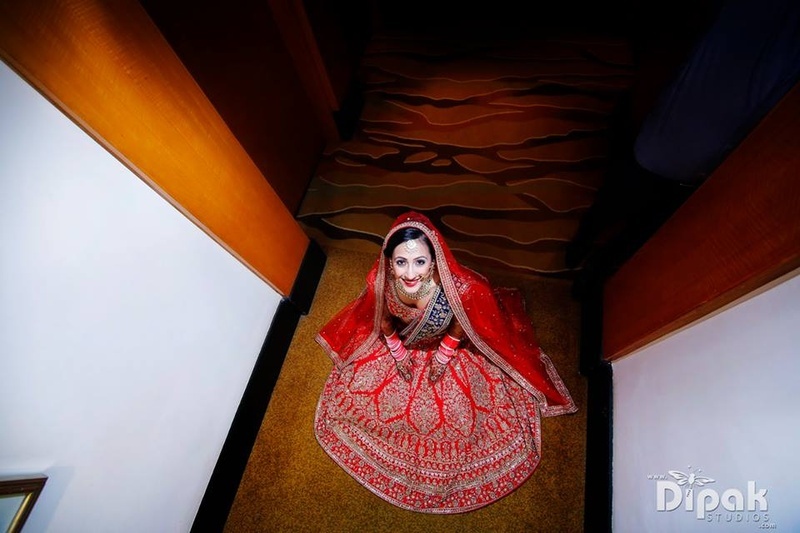 Take a look at a few images right here.